Vivaldi is more of a re-skin of Chrome, with a lot of customization options and a bunch of additions (some of which are on the way, like mail). There is still a lot of Chrome code left, not sure if they will ever get rid of that. Personally, I don’t mind, because it makes it makes the switch easier. Also, Vivaldi currently only has a desktop version. Vivaldi grew out of a frustration some of the early day Opera employees had. Opera rebooted itself a few years ago, ditching a lot of features including its own Presto rendering engine. The new browser was based on Chrome, but was also much simpler than Opera 12. A lot of users didn’t like this new direction. 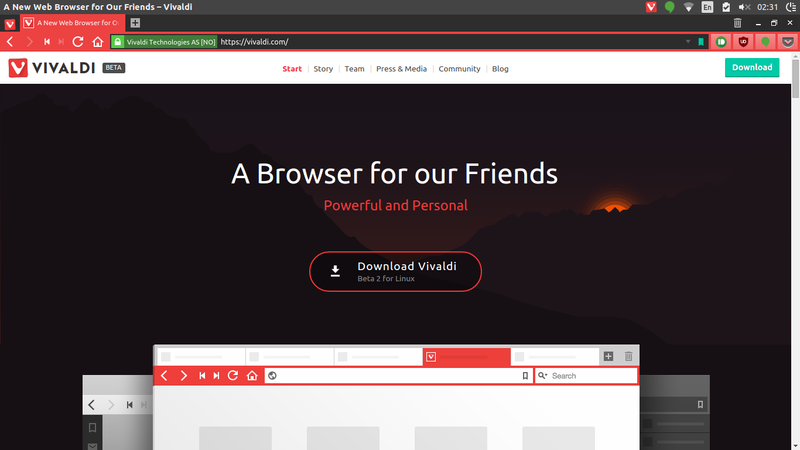 Vivaldi hopes to be a browser for “power users”. 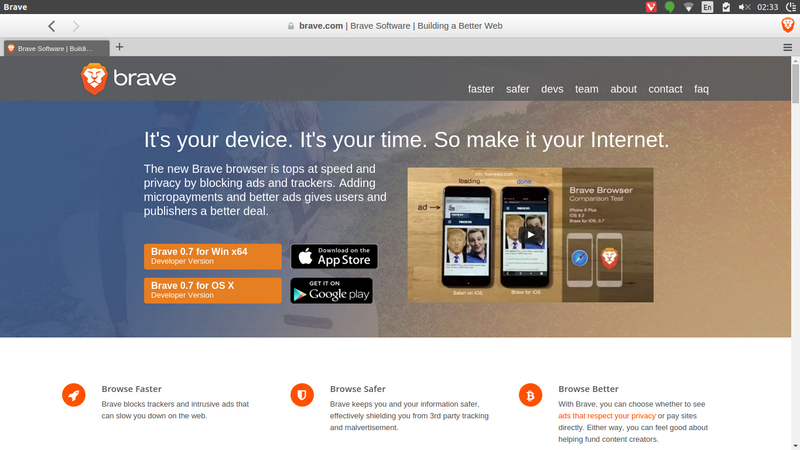 Brave is on desktop, Android and iOS and while the desktop browser is based on Chrome, the iOS version is based on Firefox. On Android, Link Bubble forms the base and allows you to load sites in a bubble and open them when they’re finished, which means that the user spends less time waiting for sites to load. The experience of using the browser will be kinda different on every platform, but at the same time, I think a modern browser should adapt to specific use cases. Something all versions have in common is tracking protection and ad blocking/replacing. Brave plans to get rid of normal ads that may violate our privacy and replace them with ads that are based on what the browser sees about you, but then anonymously. Brave seems to be a much more stripped-down version of Chrome; there probably isn’t really a way you can tell it’s based on Google’s browser. Unlike Vivaldi, Brave is completely open-source. Vivaldi and Brave took a very different approach when it comes to getting it out the door. Vivaldi went through a long technical preview phase that saw a couple bigger releases, as well as regular snapshots. It’s currently in beta and will see a stable release “when it’s ready”. Brave released on all major platforms around the same time, maintaining the momentum of the announcement, but the desktop version is at an 0.7 dev release right now, meaning that it probably isn’t ready for daily usage. The main idea and goals behind the browsers are different. I’ve been using Vivaldi every now and then for quite a while and it’s probably going to be the browser I will use the most. But I’m also someone that has about 10 different browsers installed, so I’ll be switching a lot nonetheless. Then there is also Microsoft Edge. Although the browser isn’t exactly new in 2016, it still misses a lot of features that other browsers have (even Internet Explorer has extensions). The only thing that pleases me right now is the fast startup time, but other than that, there isn’t a lot of exiting stuff. Sure, you can draw on pages and there is a reading mode, but without extensions like password managers and adblockers, I don’t expect many people to switch from Chrome or Firefox.